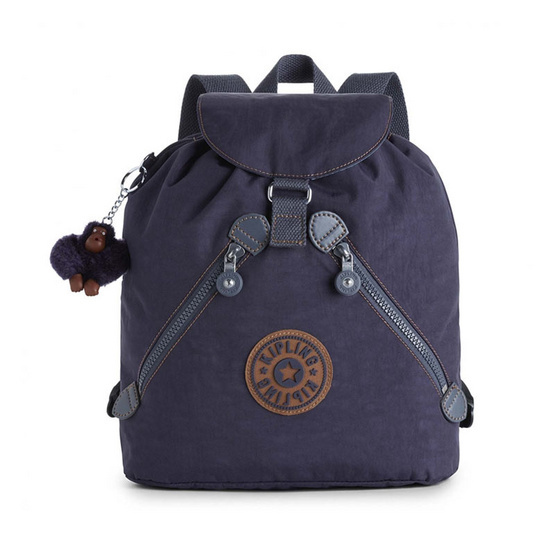 - Kipling’s Bustling is a medium sized, kids backpack that comes with a fun little Kipling monkey. - The drawstring backpack is designed to be strong and durable with a practical water repellent finish. - Bustling has plenty of room inside, and zipped asymmetric front pockets, giving it a cool, contemporary feel. - Round Kipling logo Lightweight, lasting and always practical.